Para confirmar si este producto esta en stock, llámenos o envíenos un e-mail. 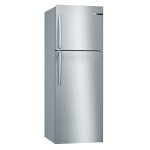 REFRIGERADOR BOSCH BOTTON FREEZE INOX MODELO KGN56AI30 ESPECIALMENTE DISEÑADO PARA QUIENES BUSCAN LO MÁS MODERNO EN TECNOLOGÍA PARA EL HOGAR. 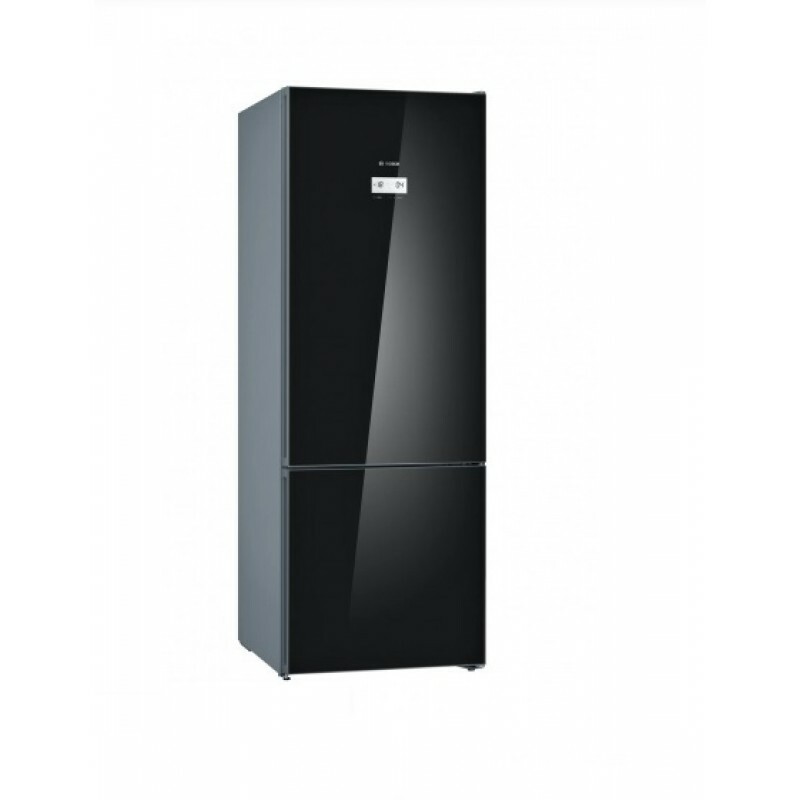 ESTE REFRIGERADOR VIENE CON CATEGORÍA DE EFICIENCIA ENERGÉTICA A+ Y UNA CAPACIDAD NETA TOTAL DE 505 LITROS. 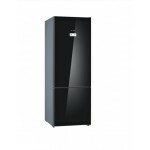 EL REFRIGERADOR POSEE 400 LITROS PARA ALMACENAR FRUTAS, VERDURAS Y OTROS, MIENTRAS QUE EL FREEZER TIENE CAPACIDAD DE 105 LITROS. EQUIPADO CON TECNOLOGÍA NOFROST Y SISTEMA MULTIAIRFLOW. ADEMÁS POSEE DISPLAY DE TEMPERATURA DIGITAL TOUCHCONTROL. 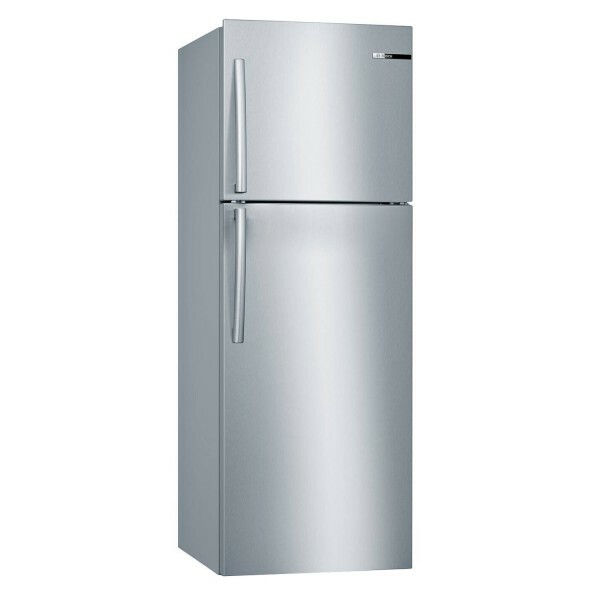 POR OTRO LADO SE OBSERVA QUE ESTE REFRIGERADOR POSEE ALARMA PARA CUANDO LA PUERTA QUEDE ABIERTA, ILUMINACIÓN LED, 3 BANDEJAS DE CRISTAL VARIOSHELF, 3 CAJONES VITAFRESH / 2 CAJONES BIGBOX EN FREEZER, 1 BOTELLERO DE ACERO INOX PARA 5 BOTELLAS Y CON CAPACIDAD DE CONGELACIÓN: 18 KG./24H. MODO ECO: EL REFRIGERADOR CONFIGURA AUTOMÁTICAMENTE LOS VALORES ÓPTIMOS DE CONSERVACIÓN PARA UN MÍNIMO CONSUMO. MODO VACACIONES: EL REFRIGERADOR SE QUEDA EN MODO AHORRO DE ENERGÍA MIENTRAS EL CONGELADOR SIGUE FUNCIONANDO CON NORMALIDAD. FUNCIÓN SÚPER: PERFECTA PARA GARANTIZAR LA ÓPTIMA CONSERVACIÓN, TANTO EN EL FRIGORÍFICO COMO EN EL CONGELADOR, AL INTRODUCIR GRAN CANTIDAD DE ALIMENTOS FRESCOS. ZONA VITAFRESH PLUS: CAJÓN QUE MANTIENE LAS CONDICIONES IDEALES DE HUMEDAD DE LAS FRUTAS Y VERDURAS PARA CONSERVARLAS HASTA EL DOBLE DE TIEMPO. BANDEJAS VARIOSHELF: BANDEJAS DESLIZANTES QUE ADAPTA EL INTERIOR DEL REFRIGERADOR A TUS NECESIDADES DE ALMACENAJE. SISTEMA MULTIAIRFLOW: LAS MÚLTIPLES SALIDAS DE AIRE HACEN QUE EL ENFRIAMIENTO SEA MÁS HOMOGÉNEO Y RÁPIDO Y PERMITEN UNA MAYOR ESTABILIDAD DE LA TEMPERATURA. FILTRO AIRFRESH AIRE FRESCO Y SIN BACTERIAS PARA TUS ALIMENTOS: EL FILTRO AIRFRESH NEUTRALIZA LOS MALOS OLORES DENTRO DEL REFRIGERADOR Y EVITA LA CONTAMINACIÓN CRUZADA DE LOS ALIMENTOS. EL AIRE PERMANECE MÁS LIMPIO Y FRESCO. CAJÓN BIGBOX MUCHO ESPACIO PARA ALIMENTOS CONGELADOS: EL CAJÓN BIGBOX ES UN COMPARTIMENTO DE GRAN CAPACIDAD QUE TE OFRECE ESPACIO SUFICIENTE PARA CONGELAR ALIMENTOS DE GRAN TAMAÑO. WI-FI READY (+ ACCESORIO): ACCESORIO ADICIONAL, PUEDE INTEGRAR ESTE DISPOSITIVO EN EL SISTEMA DE HOME CONNECT Y CONTROLADO A TRAVÉS DE UNA APLICACIÓN. ANCHO: 70.0 CM. FONDO: 80.0 CM. FONDO CON PUERTA ABIERTA: 1.45 MTS. 11:00 a 14:00 y 15:00 a 19:30 hrs. 11:00 a 14:00 y 15:00 a 17:00 hrs.